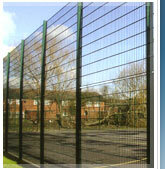 Wearside Fencing Ltd are one of the largest Security Steel Palisade fencing installers in the north east. We have had over 20 years worth experience in the supply and erection of many different variations of this style of fencing. Wearside Fencing Ltd have a extremely experience team of fencing erector that take pride in the work that they carry out. All works are done with the highest of standards in mind and following all of the British Standards as required. 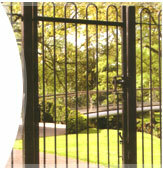 Security Steel Palisade is a tried and tested form of security fencing that is long lasting and has a stylish look. It is manufactured from section of corrugated steel to the highest standard. All parts of the Security Steel Palisade system is hot-dip galvanised to BS 729 standards to give them long-term weather resistance. 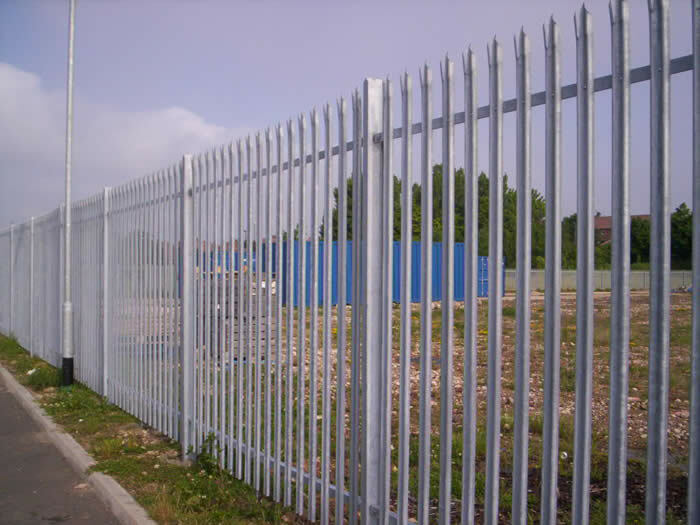 Security Steel Palisade is supplied in kit form with the flexible design allowing the fence to be erected so that it follows the contours of the ground forming a formidable deterrent against crime and vandalism. The kit form allows for easy installation. It also comes in several different grades of materials. The thickness of the steel Palisade can be adjusted depending on the height of the fence and the sensitivity of the area the fence is situated in. 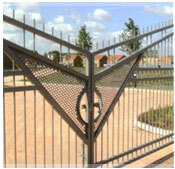 Security Steel Palisade fencing also comes with several options for the pale heads. Again, this can be ordered depending on the requirements of the customer. The pale heads vary depending on the use of the fence. There is 3 pronged head called “tri-point” that can be used in high security fencing or “round top” pale head for uses around school and other such places where safety is required more than security. Steel Palisade can also be Polyester Powder Coated. For more information on this please see our Powder Coating section.